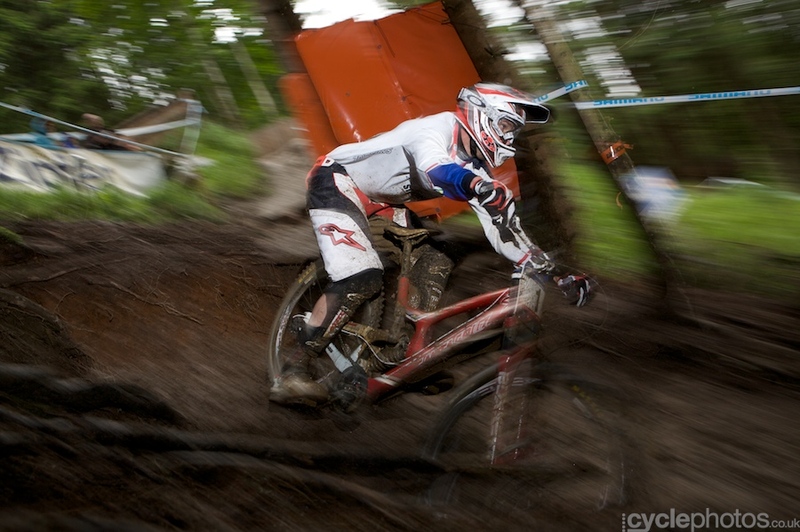 Bikeskills’ Greg Minnaar flashes by on his way to another win in the 2010 UCI World Cup Series. Greg has been very consistent this year with first, third, and first place finishes in the still-early World Cup Series. What might be mountain biking’s most spectacular event is also the sports’ most skill-intensive. Read on to learn the basics from the very best, Greg Minnaar.